We ask that you please reschedule or cancel at least 24 hours before the beginning of your appointment or you may be charged a cancellation fee of 100% of the cost of your service. Yes, you do. Click here to download the waiver. Please make sure print & sign The Cage waiver before your appointment. What are the players and facility rules? For the safety of everyone, only one player and one coach/trainer/adult/parent will be allowed in a cage at a time. 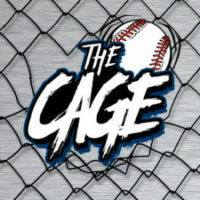 The Cage recommends cages and/or training for players ages 4 years and up. The Cage is not responsible for lost items. Please take all your equipment with you. Respect yourself, your team, The Cage’s patrons and employees at all times. Follow all posted rules and regulations signage at all times. The Cage reserves the right to deny service if above terms are violated. Team memberships may be revoked without refunds if above terms are violated.